Miriam Janice Cooper married William Lewis Bagwell Sr, son of William Brayile Bagwell and Ruby Hughes, on 15 July 1961. William Lewis Bagwell Jr. is the son of William Lewis Bagwell Sr and Miriam Janice Cooper. Kimberly Janice Bagwell is the daughter of William Lewis Bagwell Sr and Miriam Janice Cooper. Ray Franklin Shockley was born on 28 July 1933 in Greenville, Greenville County, South Carolina. He married Anna Ruth Bagwell, daughter of William Brayile Bagwell and Willie Mae Gilmer, after 1945. Ray Franklin Shockley died on 1 December 1997 in Greenville, Greenville County, South Carolina, at age 64. Cloda Edwards was born on 9 April 1919. As of before 1937,her married name was Bagwell. She married John William Bagwell, son of Milton Otis Bagwell and Fair Bell Davenport, before 1937. Cloda Edwards died on 23 August 1983 in Lexington, Lexington County, South Carolina, at age 64. She was buried at Sacred Acres Cemetery, Waterloo, Laurens County, South Carolina. Leesville - Thelma Maroney, 84, passed away Thursday, September 17, 2015. Funeral services will be held at 3:00 P.M. Sunday, September 20, at B-L Congregational Holiness Church with interment in Ridge Spring Cemetery with Pastor Dennis Leard and Rev. Virgil Bagwell officiating. Pallbearers are Christopher Cade Jr., John Cade, Randy Bagwell, Marty Bagwell, Christopher Bagwell and Zachary McCaskill. Mrs. Maroney was born in Laurens County, the daughter of the late John William Bagwell and Cloda Edwards Bagwell. She was a homemaker. She was married to the late Jackson V. Maroney. Surviving are her sons, Adam Maroney; Curtis Maroney [he actually died in Nov 2014] all of Leesville; brother, Rev. Virgil Bagwell; grandchildren: Shannon Maroney, Christopher Maroney, Jason Maroney, Eric Maroney, Adam Paul Maroney Jr., Victor Maroney, Jackson Maroney, Katelyn Maroney, and Candice Lee and ten great grandchildren. She was predeceased by her brother, Ronnie Bagwell; sisters, Betty White and Linda Westmoreland. The family will receive friends from 6:00-8:00 P.M. Saturday, September 19, at Milton Shealy Funeral Home. © The State, Columbia, SC, 18 Sep 2015. She was buried at Ridge Spring Cemetery, Ridge Spring, Saluda County, South Carolina. Obituary in The State, Columbia, SC, 16 Sep 2013: Leesville - Jackson "J.V." Maroney, 77, passed away Saturday, September 14, 2013. Funeral services will be held at 3:00 P.M. Tuesday, September 17, at B-L Congregation Holiness Church with interment in Ridge Spring cemetery with Rev. Virgil Bagwell officiating. Active pallbearers are Jason, Shannon, Adam Maroney Jr., Eric Maroney, Tony Bagwell and Chris Cade Jr. Mr. Maroney was born in Saluda, SC son of the late Jack and V.O. Victoria Enlow Maroney. He was a brick mason and a truck driver. He was a member of B-L Congregation Holiness Church. Surviving are his wife, Thelma Bagwell Maroney; sons, Adam Maroney and Curtis Maroney both of Leesville; brothers, Leroy Maroney; Ken Maroney; Rick (Shirley) Maroney; sisters and brother-in-law, Veonia (John) Cade and Jean (Wayne) Senn; sister-in-law, Ann Maroney; nine grandchildren; ten great grandchildren. He was predeceased by brothers, Don, Mack, Lenard Wayne, Rohn Maroney; sisters, Carol Maroney and Faye Amick; sister-in-law, Margarette Maroney. The family will receive friends from 6:00-8:00 P.M. Monday, September 16, 2013 at Milton Shealy Funeral Home. Milton Shealy Funeral Home & Crematory is assisting the family with arrangements. Betty A. White, 61, of 120 Eagle Run Drive, Cordova, died Wednesday, Oct. 19, 2005, at her residence. Funeral services will be held at 3 p.m. Friday, Oct. 21, at Thompson Funeral Home Chapel in Orangeburg, with the Rev. Virgil Bagwell officiating. Burial will be in Crestlawn Memorial Gardens in Orangeburg. Pallbearers will be her nephews. Ms. White was born Aug. 25, 1944, in Greenwood County, a daughter of the late John W. Bagwell and the late Cloda Edwards Bagwell. She was a member of the Church of God. She was employed by AYP Electrolux for 30 years. She was preceded in death by two brothers, John Curtis Bagwell and Ronnie Eugene Bagwell, and one sister, Linda Westmoreland. Survivors include one daughter, Patricia A. Fogle of Cordova; one son, Harold White Jr. of Orangeburg; four grandchildren; two great-grandchildren; one sister and brother-in-law, Thelma and J.V. Maroney of Leesville; one brother and sister-in-law, the Rev. Virgil and Darlene Bagwell; 21 nephews and nieces; and a number of cousins. Friends may call at the residence, 120 Eagle Run Drive, Cordova, and at the funeral home. Visitation will be from 7 to 9 p.m. Thursday at Thompson Funeral Home, Inc. in Orangeburg. Memorials may be made to a charity of one’s choice. She was buried at Crestlawn Memorial Gardens, Orangeburg, Orangeburg County, South Carolina. Mary Regina Bagwell was born on 6 December 1903.1 She was the daughter of Reverend Robert Werner Bagwell and Emma Laetitia Pyle.1 Mary Regina Bagwell died on 1 December 1986 at age 82.1 She was buried at Halifax Town Cemetery, Halifax, Halifax County, Virginia. 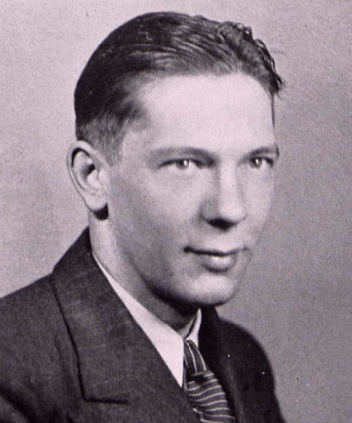 Harvey Stebbins McDannald Sr. was born on 22 May 1908. He married Dorothy Wise Bagwell, daughter of Reverend Robert Werner Bagwell and Emma Laetitia Pyle, on 24 June 1939 at Halifax, Halifax County, Virginia. Harvey Stebbins McDannald Sr. died on 29 June 1984 in Halifax, Halifax County, Virginia, at age 76. Harriett Letitia "Letty" Bagwell was born on 22 January 1918 in Buckingham County, Virginia. She was the daughter of Reverend Robert Werner Bagwell and Emma Laetitia Pyle. Harriett Letitia "Letty" Bagwell died on 6 September 1982 in Danville, Virginia, at age 64. Floyd Douglas Bagwell was born on 3 July 1923 in Evansville, Vanderburgh County, Indiana. He was the son of Floyd C. Bagwell and Sarah Effie Webb 12 Nov 1893. Floyd Douglas Bagwell married June (?) after 1940. Richard Bagwell was born on 1 January 1929 in Evansville, Floyd County, Indiana. He was the son of Floyd C. Bagwell and Sarah Effie Webb 12 Nov 1893. Richard Bagwell died on 30 October 2007 at age 78. Molly H. Ridge was born on 31 May 1857 in Jackson County, Illinois. As of 16 March 1877,her married name was Bagwell. She married Miles Standish Bagwell, son of William Henry Bagwell and Mary Elizabeth Sorrels, on 16 March 1877 at Jackson County, Illinois. Molly H. Ridge died on 18 March 1925 in Jackson County, Illinois, at age 67. Otis Bagwill was born on 30 November 1880 in Tennessee. He was the son of Miles Standish Bagwell and Molly H. Ridge. Otis Bagwill died on 3 January 1935 in Jackson County, Illinois, at age 54. Colonel Benjamin Harrison Bagwill was born on 31 July 1891 in Murphysboro, Jackson County, Illinois. He was the son of Miles Standish Bagwell and Molly H. Ridge. Colonel Benjamin Harrison Bagwill married Holsie Rosettie Osborn on 1 January 1911 at Missouri. Colonel Benjamin Harrison Bagwill died on 14 January 1942 in Doniphan, Ripley County, Missouri, at age 50. He was buried at New Hope Cemetery, Torch, Ripley County, Missouri. Holsie Rosettie Osborn was born on 21 August 1893 in Arkansas. As of 1 January 1911,her married name was Bagwill. She married Colonel Benjamin Harrison Bagwill, son of Miles Standish Bagwell and Molly H. Ridge, on 1 January 1911 at Missouri. Holsie Rosettie Osborn died on 6 November 1977 at age 84. She was buried at New Hope Cemetery, Torch, Ripley County, Missouri. Gertrude Girldeline Bagwill was born on 28 October 1912 in Ripley County, Missouri. She was the daughter of Colonel Benjamin Harrison Bagwill and Holsie Rosettie Osborn. Gertrude Girldeline Bagwill died on 22 July 1995 in Glendale, Maricopa County, Arizona, at age 82. Colonel Buford Osborn Bagwill was born on 28 May 1918 in Ripley County, Missouri. He was the son of Colonel Benjamin Harrison Bagwill and Holsie Rosettie Osborn. Colonel Buford Osborn Bagwill married Mary Lee Ator after 1937. Colonel Buford Osborn Bagwill died on 12 February 1992 in Germantown, Shleby County, Tennessee, at age 73. He was buried at Doniphan Oak Ridge Cemetery, Doniphan, Ripley County, Missouri. Lloyd Duane Bagwill married Bettie L. (?) Lloyd Duane Bagwill was born on 28 May 1924 in Ripley County, Missouri. He was the son of Colonel Benjamin Harrison Bagwill and Holsie Rosettie Osborn. Lloyd Duane Bagwill died on 18 March 1993 in Doniphan, Ripley County, Missouri, at age 68. He was buried at New Hope Cemetery, Torch, Ripley County, Missouri. Benjamin Harrison Bagwill Jr. was born on 16 September 1928 in Ripley County, Missouri. He was the son of Colonel Benjamin Harrison Bagwill and Holsie Rosettie Osborn. Benjamin Harrison Bagwill Jr. died on 14 March 1998 in Phoenix, Maricopa County, Arizona, at age 69. Floyd Osborn Bagwill is the son of Colonel Benjamin Harrison Bagwill and Holsie Rosettie Osborn. Bettie L. (?) married Lloyd Duane Bagwill, son of Colonel Benjamin Harrison Bagwill and Holsie Rosettie Osborn.